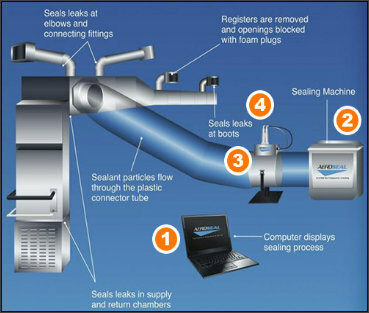 Northern Duct Services looked at a variety of options for sealing ductwork and found Aeroseal’s technology provides the most effective and cost-effective option there is. 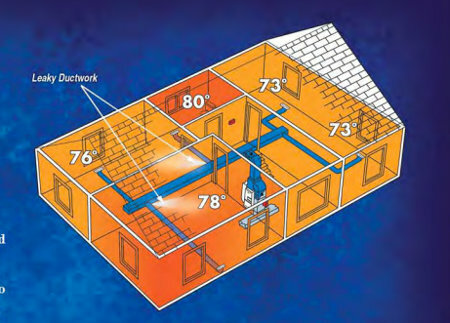 Before Aeroseal technology, leaky ducts could only be sealed using foil tape or applying a compound directly to the exterior of the duct where each leak was located, which can be costly if the leaky ducts are behind walls or under insulation. Since it works on the inside of your ductwork, it effectively fixes leaks, even those hidden behind walls and under insulation. By accessing and sealing the leaks from the inside of the duct work, Aeroseal is able to quickly seal 100% of the most common leaks found in home duct work today. Aeroseal can reduce duct leakage by up to 90%, and save a typical homeowner up to $1000 a year in energy costs and a typical building up to 30% of HVAC energy use. Aeroseal technology was created by scientists looking to solve a problem that most experts agreed was the single biggest contributor to home energy waste – leaks in the duct work. While taping and plastering (mastic) over the leaks from the outside of the duct work is helpful, it does not address the majority of leaky duct system – the parts that are hidden behind walls, under insulation or other hard to reach locations. The U.S. Department of Energy calls Aeroseal one of the most significant energy-saving technologies to be made available to homeowners since the agency was first established. 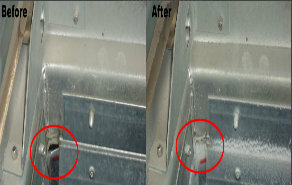 Industry professionals and energy companies now realize the energy savings and comfort associated with duct sealing. Aeroseal’s impact on reducing home energy loss is so significant that it has been rated the single most effective means for increasing home energy efficiency in most homes today—about twice as effective as insulating the basement and more than five times more effective than upgrading windows! Please feel free to reach out to us- phone or email- we’d like to help you make your home more comfortable and efficient, and help you breathe healthier air!